Colored bulbs are used in a variety of scenarios. Merchandisers utilize colored bulbs as a means for making their product more attractive to customers. Theater and stage producers use colored bulbs to enhance a live show. Restaurants and nightlife venues use them to create a mood. Each colored bulb and combination of bulbs has a different effect on its subject and the human eye's perception of the subject. According to "Lighting Design Basics" by Mark Karlen and James Benya (2004), the temperature of the color a bulb emits describes whether the light appears warm or cool.  Where the color of light falls within the color spectrum (commonly known as the rainbow) determines its temperature. Bulbs emitting light closer to red, orange and yellow are warm. Bulbs that give off light closer to blue, green and violet are cool. A warm colored bulb enhances warm colored subjects. Cool colored lights make cool colored subjects appear cooler. For example, furnishings in a home that are of reds and oranges can be more pronounced under warm colored bulbs. A space with decor done primarily in blues and greens will result in objects appearing amplified under cool colored lights. If warm colored bulbs are lit over cool colored objects and vice versa, the objects will appear darker than their natural color. Items meant to be seen in their true color are typically placed under a very white light to avoid being enhanced or more pronounced than they actually are. Seeing the same object under different colored lights results in a difference in human reaction to it. Restaurants typically use warm colored bulbs, such as red, to enhance the atmosphere and to make their food seem more appetizing. As discovered by Dr. Val Jones, who composed a research project in conjunction with Architectural Digest, blue light can result in a decreased appetite. For this reason blue and cool colored bulbs are not typically used in eating establishments. Red and warm colored light are considered stimulants, while blue is more soothing. According to Pantone, Inc., the international leading influence on color, people are likely to set higher stakes when gambling if a red light is lit over them. Blue and cool colors are typically the choice of hospitals and medical facilities due to their calming effects. The primary colors of light are red, green and blue. When a combination of these is mixed a new color of light is produced. To achieve a white light, all three primary colors must be emitted together. Combinations of the primary colors result in the secondary colors of light. These are yellow, magenta and cyan. If a red and green bulb are lit together a yellow light will be produced. When red and blue light are mixed the result is a magenta light. Lastly, when green and blue light are mixed, cyan light is produced. Lighting retailers offer colored bulbs in a variety of finishes that will affect the way a bulb gives off a colored light. For example, ceramic coated bulbs will emit a diffuse, soft light. Transparent bulbs emit a clearer, more intense light. Each finish results in a different atmosphere and determines the effect of the colored bulb. Kristin Russo has been freelance writing for three years in New York City. Russo regularly writes for Nybarfly and has contributed numerous nightlife and restaurant reviews to Metromix.com. She has acquired an AAS degree from the New York School of Interior Design and has experience working with professional interior designers. What are the Best T8 Bulbs for Growing Plants?